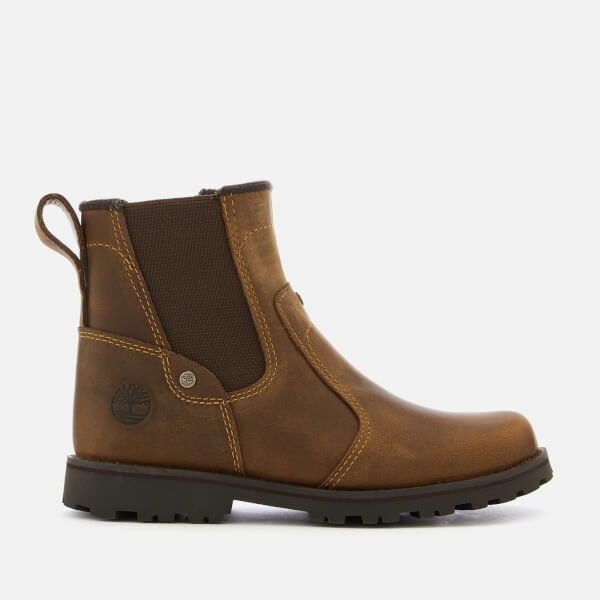 Brown leather Chelsea boots from Timberland with a rugged design. 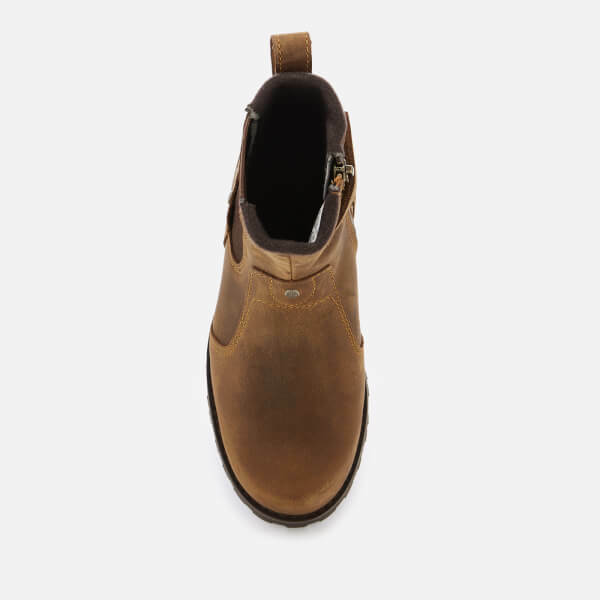 The kids’ ‘Asphalt Trail’ ankle boots comprise elasticated side gores and internal zips to easily pull them on and off. 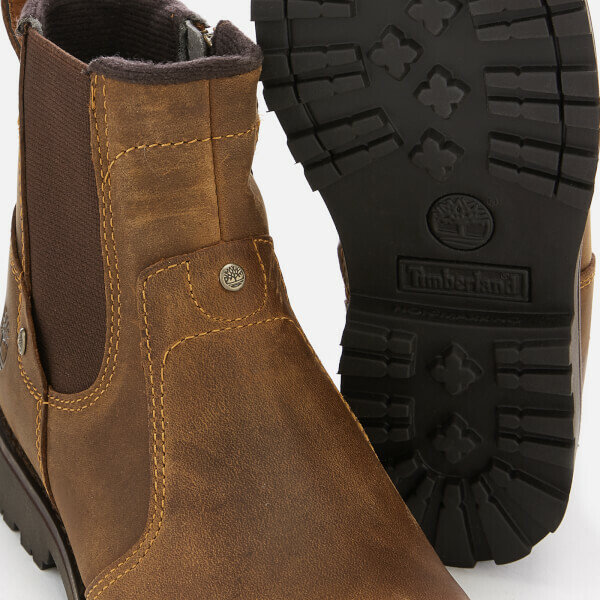 An OrthoLite® footbed provides cushioned comfort and a chunky rubber lug outsole offers traction. 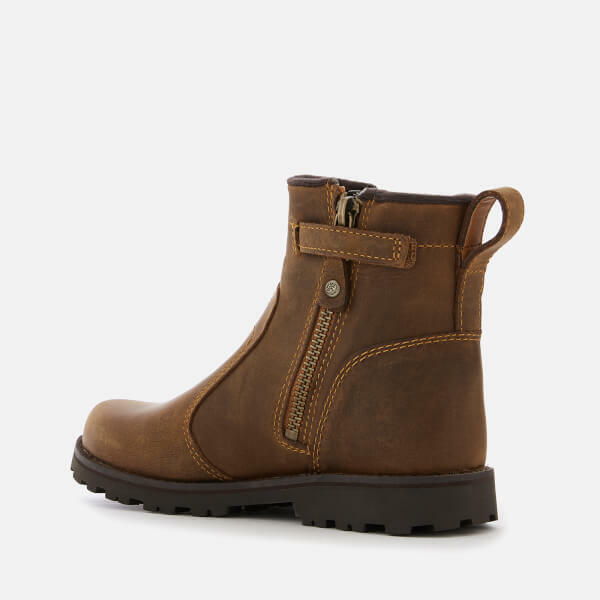 Metal logo studs, a signature debossed logo on the heel and heel pull loops complete the design.